Can Rural Companies Compete for Talent? | Challenger, Gray & Christmas, Inc.
Can Rural Companies Compete for Talent? The current outlook for rural employers and employees seems bleak. With technology eliminating many jobs, much of the rural talent is moving to cities as a means of finding better job prospects, leaving companies scrambling to employ and retain talented employees. “Low-income and rural communities are especially vulnerable to job loss from automation, which is likely to rapidly increase in the coming years. While cities will be able to survive some turbulence in the job market, rural communities that rely on just a few large businesses to support the local economy are at a higher risk of being upended, and, if all the opportunities are to vanish, become new-wave ghost towns as talent leaves in search of more stable employment,” said John Challenger, Chief Executive Officer of global outplacement and executive coaching firm Challenger, Gray & Christmas, Inc. Even though automation has yet to completely take over the nation, job seekers in rural environments generally seem to be less hopeful about their prospects when compared to those in suburban and urban regions. According to a The Washington Post-Kaiser Family Foundation Poll, only 30 percent of Americans living in rural areas believe their job prospects to be excellent or good. Suburban and urban job seekers, on the other hand, believe their job prospects to be much better, with nearly half of the population believing they are excellent or good. People living in rural areas feel increasingly disenfranchised, as their population continues to rapidly shrink. According to the U.S. Census Bureau, over half of the country lived in rural regions in 1910, but by 2010 these regions contained less than one fifth of the United States population, despite regions defined as “rural” consisting of 97 percent of the land in the United States. How can rural-based companies attract and retain high-level talent during this exodus? “One possible answer is compensation. Workers who are financially incentivized will move to where the jobs are,” said Challenger. According to an article published by Modern Healthcare, the most effective means they have found for attracting high-talent physicians to rural areas is through higher compensation. 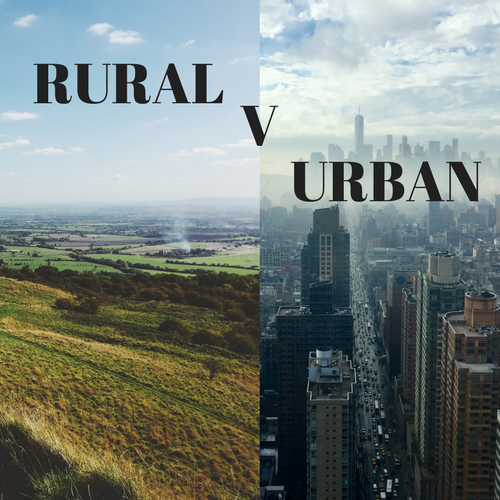 Starting salaries for rural areas often need to be higher because many potential employees do not want to live in rural areas despite high demand. Another possible draw for workers is technology. When college grads or urban workers are trained on the most up-to-date technology, they expect to use these tools in their jobs. “Particularly in healthcare and hospitals, which tend to be the largest employers in rural areas, advanced technology could attract and retain doctors, nurses, and administrative staff to these areas,” said Challenger. Technological advances are causing some unrest in rural areas, but that does not mean that it has to be the end of rural living. Rather, companies need to shift their priorities, given the new environment, and figure out what works best for themselves and their employees. For those companies that are unable to raise the funds to significantly increase compensation and draw in new talent, an article on Smallbizsurvival talks about some less costly tips to attract young talent to aging rural areas. Specifically, they mention that it is helpful to connect with local universities and colleges. By offering special opportunities to people who are already familiar with the area, it is easier to retain employees. They also suggest looking into what makes the area unique compared to more urban areas, such as festivals or natural attractions. The key is to make sure your employees believe that they will be as happy living in a rural area as they would be in an urban environment. “As millennials age and start buying property and having families, they will likely want to go to places that have a low cost of living, but with access to a lot of the amenities found in cities, like restaurants and entertainment. Companies can draw workers with competitive compensation and positions that make use of their technological skills,” said Challenger.